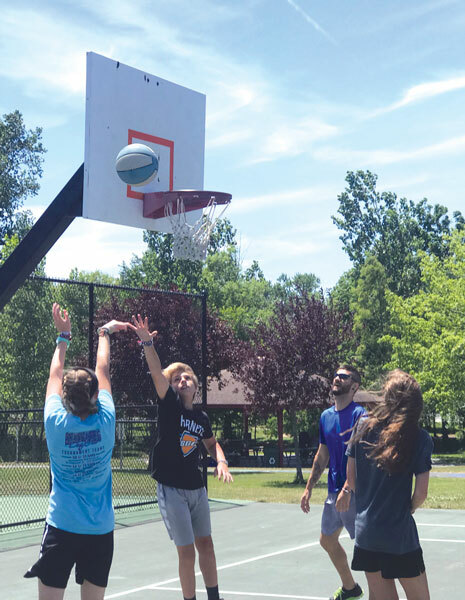 Some out-of-state visitors took advantage of Friday afternoon’s nice weather to play some basketball at Eljer Park. From left, Ellie Thetford, 13, Wesley Odom, 13, Jonas Mackey, 32, and Addison Graves, 16. According to Mackey, he and his group are from Medina, Tennessee, visiting the First Baptist Church of Marysville for a mission trip.